Perhaps you're responsible for delivering a brief children's "sermon" or devotional to a group of children. We can help! 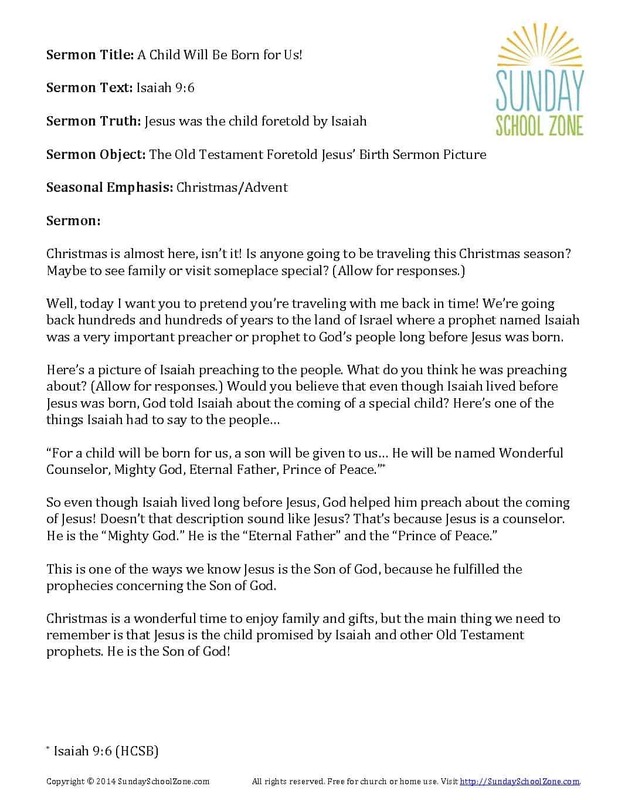 Each of the free children's sermon PDFs on the site (listed below) includes a sermon title, a sermon text, a sermon truth and a suggested sermon body. In addition, you get a related sermon picture or suggested sermon object that you can use to help keep the children's attention. In an attempt to see Jesus fall early in His ministry, Satan tempted Jesus in the wilderness, but Jesus remained sinless. 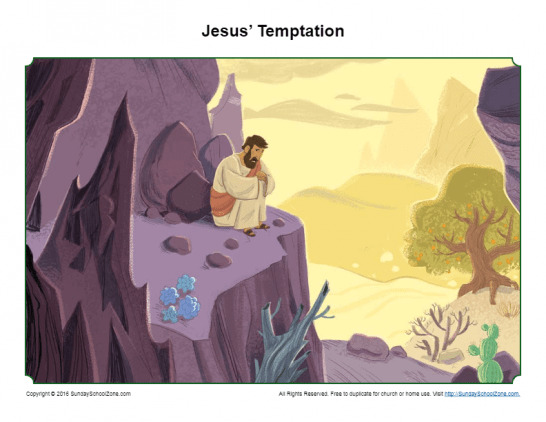 This free printable sermon picture will help children remember Jesus was tempted but did not sin. When Jesus was baptized He identified with sinners and showed He would die and be raised on our behalf. 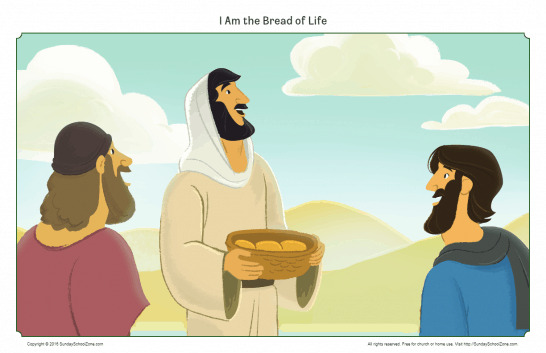 This free printable sermon picture will help kids remember this very important event in Jesus’ life. 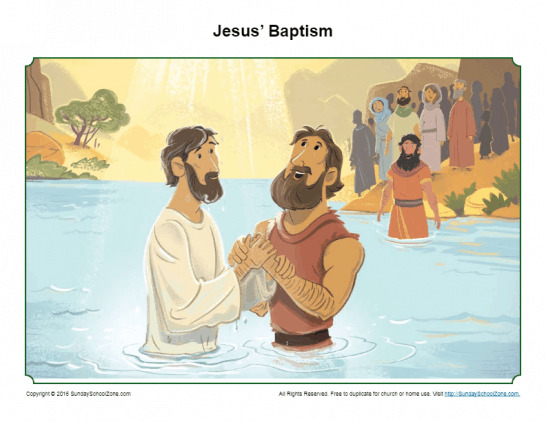 God knew that John the Baptist would be a special person with a special job even before he was born. 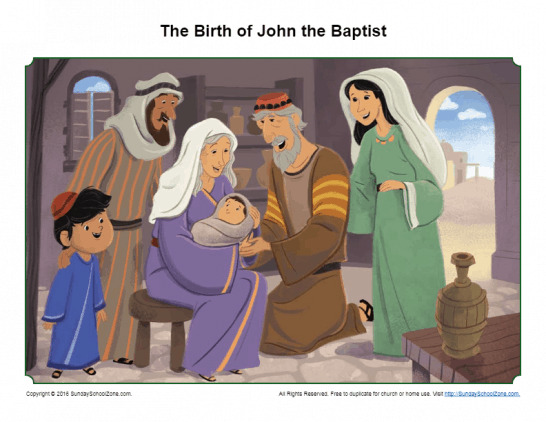 This free, printable, teaching picture will help children learn about the birth of John the Baptist and discover that John helped prepare the people of Israel for Jesus. God always desires the best for His children. 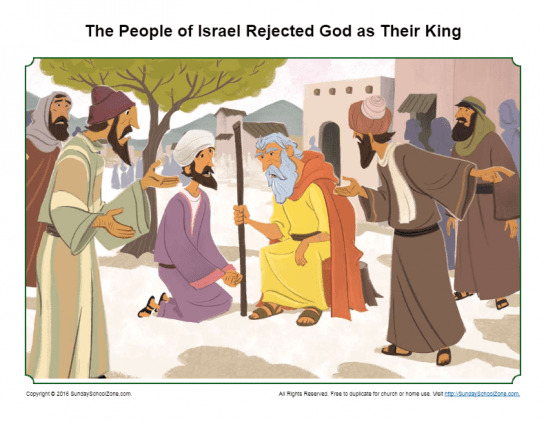 God wanted to be the King of Israel, but the people of Israel wanted a human king like the other nations around them. 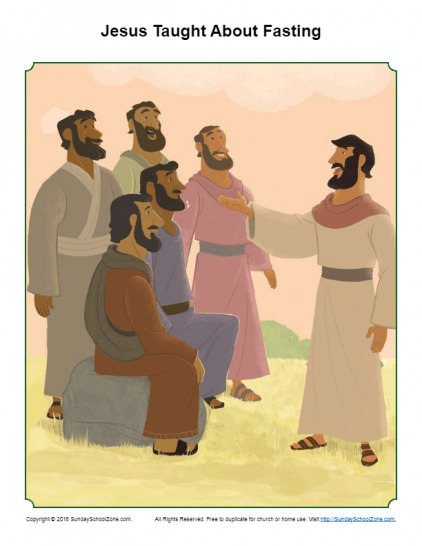 This teaching picture will help children remember that God always knows what is best for us. When the Israelites disobeyed God there were severe consequences. For forty years they wandered in the wilderness before reaching their new home. This sermon picture will help children remember the importance of trusting God. 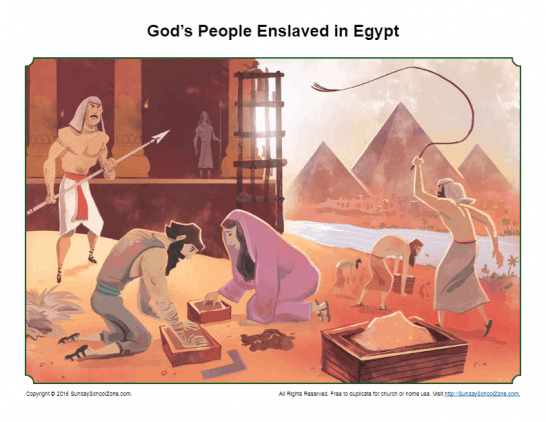 After Joseph died, the Hebrew people were enslaved by the new king of Egypt. 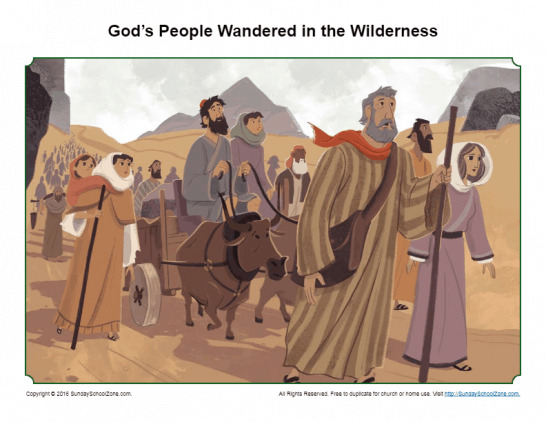 This sermon picture will help children remember that God was with the Israelites even during this sad time in their history. Sad times will come in our lives as well, but God is always with us. In Genesis 27, Jacob makes a bad choice to deceive his father. This choice affects Jacob’s entire family for years to come. 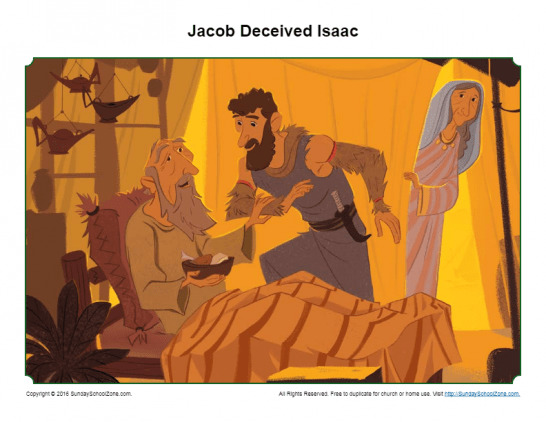 This Jacob Deceived Isaac Story Illustration will help children understand the importance of honesty.